 Picturesque northern Iowa is the setting for the Wapsi-Great Western Line Trail, a rail trail that winds through rural countryside and featuring less than a mile of shared roadway. Riders will experience five biospheres on this route including wetlands, farmland, prairie, marsh and woodlands. One trail head is located in Elma, which features a welcome center in a restored rail road depot building. Midway on your journey to the north, Lylah’s Marsh County Park is a great place to explore, offering 32 acres of open space plus a lake with boat access, shore fishing, hiking trails, picnic areas, playgrounds and restroom facilities. Continue across Mead Creek and the Little Wapsipinicon River until reaching Riceville and on to the Minnesota state line. Keep an eye out for the 234 acre Lake Hendricks Park for great camping facilities, boating, fishing, hiking and more activities. McIntire is the next rural town on the route, using caution as this area is along a large, busy highway. After crossing 470th Street, you’ll enter Pinicon Alders Wildlife Area that features many outdoor activities and includes camping facilities. The rest of the trail travels primarily through farmland and a large wind farm, ending at the Minnesota border.